Sweet treats at the opening night of Sheffield's Showcomotion! It was the Showcomotion’s Young People’s Film Festival opening night this evening. The Festival takes place in Sheffield’s Showroom Cinema between Friday 25 May – Sunday 3 June with a terrific lineup of film screenings for young people, schools and families. A big thank you to The Showroom for inviting me to your event. It was great to meet new people and to put faces to all those tweets. My eyes were caught on something...amazing looking Croque en Bouches. 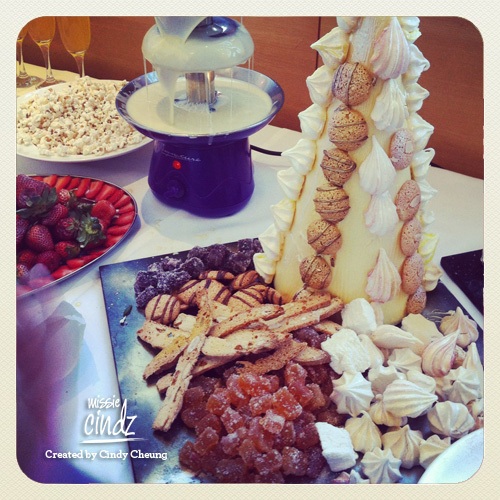 The white chocolate fountains were also lovely touches. 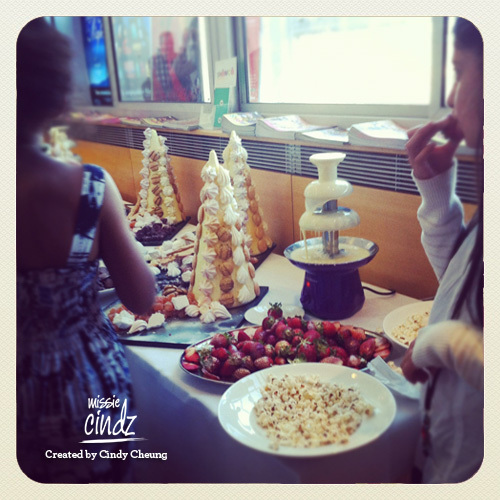 Fresh strawberries provided our 5 A Day and the tray loads of homemade meringues (loved the chewy centre), along with good old fashioned cinema popcorn, cubed fruit jellies and amoretti biscuits all provided nice textures and crunch which complemented well with the melted chocolate. Their head-chef, Simon Ayres is certainly one talented chef! – I’m going to be eyeing up more of his savoury and sweet offerings from now on. I was told that the ethos of the festival is to give young people the opportunity to see films they would not otherwise get to see, to inspire a new generation of filmmakers, but above all to create a fun and friendly festival. I find it all great what these guys do – educating young people and teasing their creativity subliminally through film and animation! I remember, when I was a kid I watched so much TV and cartoons after school (it was probably the only time when I sat still). Cartoon and animated films are definitely one of the main influences that encouraged me me to delve into a career of design and illustration. It’s a fact. When I used to work for a design agency located in The Workstation (next door to the Showroom Cinema), there would always be a lot of vibrant and colour oozing from the film festival, capturing the attention of young children and releasing the Kiddiness in the adult (after all, do we really want to grow up!? :). The film festival brings in hundreds of children to the Showroom watching a truly unique array of films. I picked up one of their film programme guides and I can see films from documentaries ranging from about lion cubs, cheetah and lion (African Cats); to Kevin Clash, the creator of Sesame Street’s Elmo, documenting and providing behind the scenes footage in the film Being Elmo. Plus, there are also film classics such as Oliver Twist and a showing of the long awaited return of Top Cat and Dr Suess’ The Lorax! Best of all, film tickets for under 18’s are £2! And only £3 for adults…so, who’s joining me for Top Cats!? 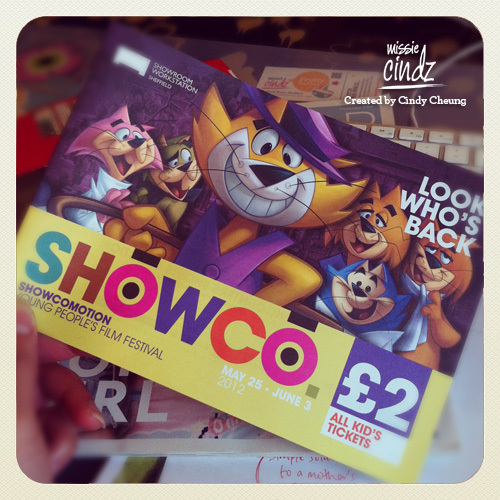 You can find out more details of this year’s film programme here or on their festival website www.showcomotion.org.uk. Plus if you’re a Twitterholic like me, you could follow @showcomotion for all the latest tweetful film offerings. Enjoy!